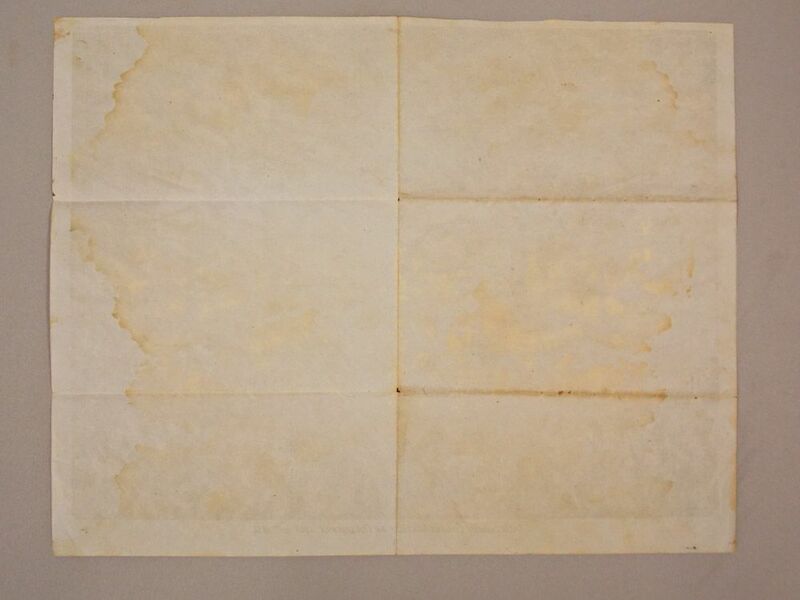 California Pictorial Letter Sheet, Tremendous Conflagration of Columbia, July 10th 1854. 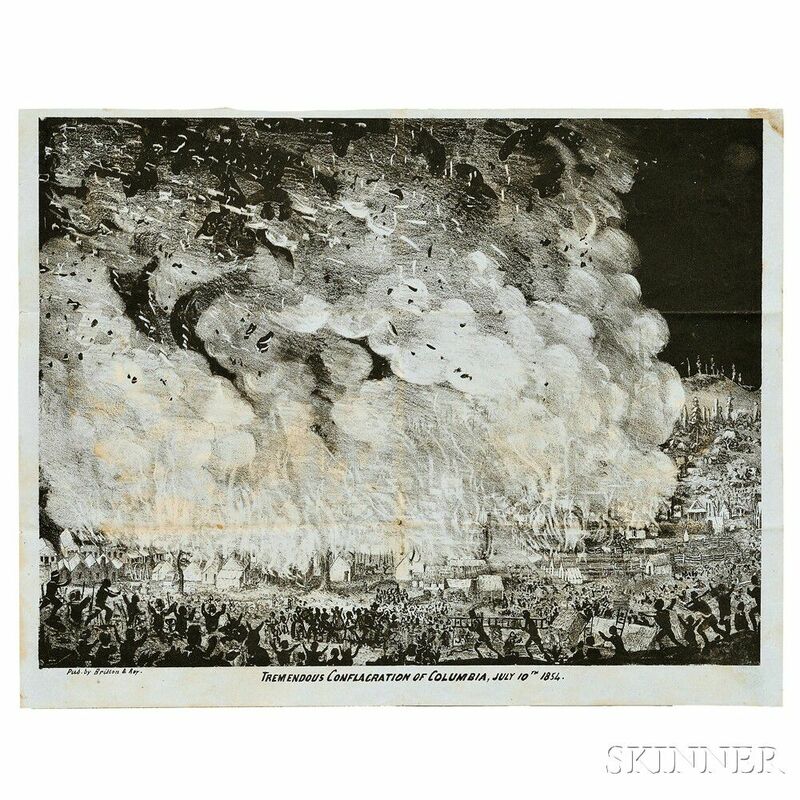 California Pictorial Letter Sheet, Tremendous Conflagration of Columbia, July 10th 1854. 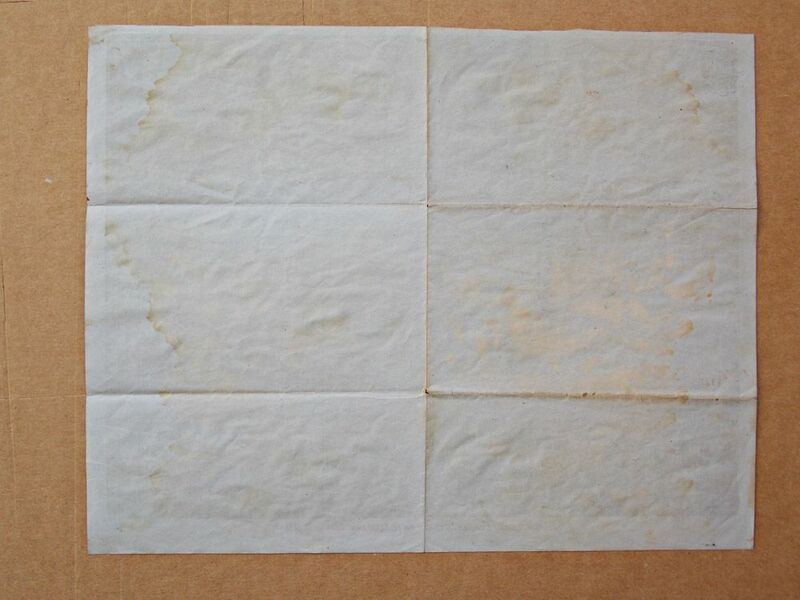 California Pictorial Letter Sheet, Tremendous Conflagration of Columbia, July 10th 1854. 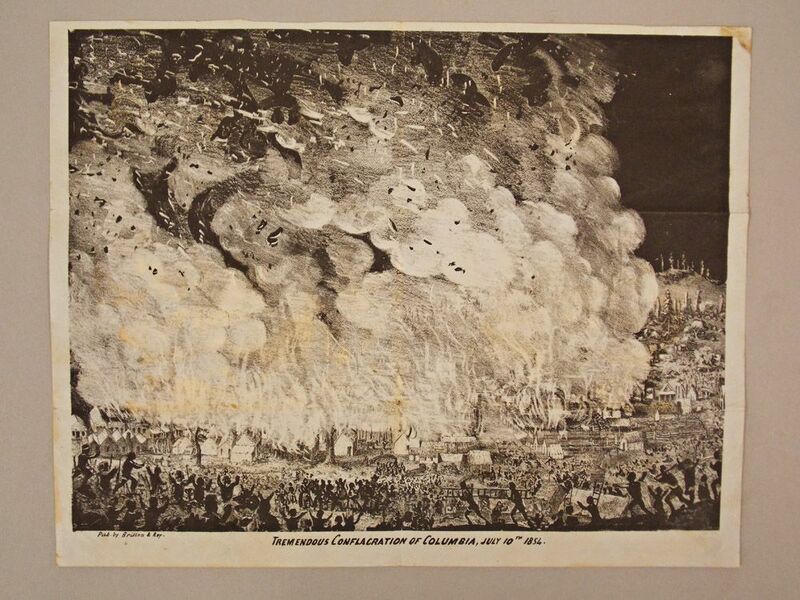 California Pictorial Letter Sheet, Tremendous Conflagration of Columbia, July 10th 1854. 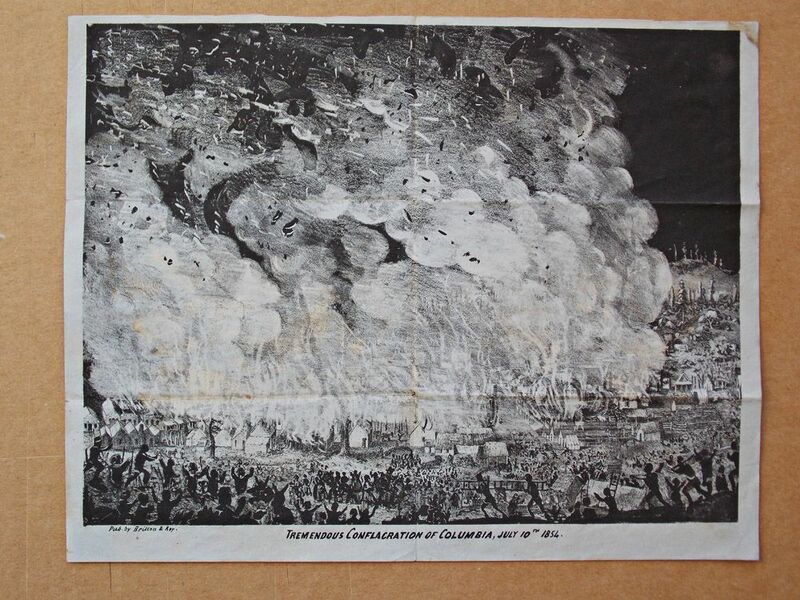 California Pictorial Letter Sheet, Tremendous Conflagration of Columbia, July 10th 1854. San Francisco: Britton & Rey, [c. 1854]. Uncolored lithograph printed on pale blue wove paper, the image depicts the fire that ravaged Columbia, California in 1854 with effective use of contrast; old folds, some water stains, 8 1/2 x 11 in.